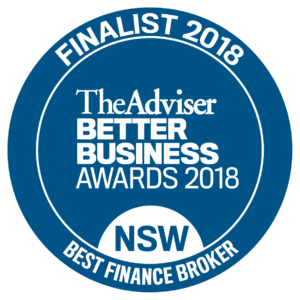 SYDNEY, 29 Ma7 2018 – Barry Watkins, of Clever Finance Solutions, is in the running to take out one of Australia’s most coveted mortgage broking awards. He has been shortlisted as a finalist in the Customer Service of the Year – Individual (Metropolitan) category of the nationally recognised 2018 Australian Broking Awards hosted by The Adviser, Australia’s top publication for mortgage and finance brokers. Now in its eighth consecutive year, the Australian Broking Awards recognises the hard work and perseverance of brokers, brokerages and aggregator groups, providing finalists with an unparalleled opportunity to be recognised at local, state and national levels. Editor of The Adviser, Annie Kane, said that the number and quality of submissions this year were testimony to the high level of professionalism within the mortgage broking industry. “We are consistently impressed by the broking industry’s passion, professionalism and personalisation of service,” said Ms Kane. “Achieving good consumer outcomes was the focus for this industry well before the Royal Commissions. Nowhere can you see this more clearly than in the submissions for this year’s Australian Broking Awards, which include many glowing customer testimonies. Founded in 2009, Clever Finance Solutions offers broking services to the Australian community. It has particularly strong relationships with clients, many of whom return, and specialises in multi-property investment portfolios. The winners will be announced at a black-tie awards dinner on Friday, 29 June 2018 at The Star, Sydney.